Nathan is a partner in the KPMG’s securitization practice providing attest and advisory services for CLOs, CMBS, RMBS and ABS asset classes. He has over 26 years of experience in the banking & securities and investment management industries providing agreed-upon procedures, risk assessments, model validation, impairment reviews and valuations supporting financial statement audits services. Vik Agnihotri is a Managing Director at Bank of America Merrill Lynch. He runs BAML’s CMBS Trading desk which is top ranked market maker in non-agency CMBS, agency CMBS, CMBX and CRE CLOs. He has been with BAML and Merrill Lynch since 2006. Prior to that he was Citi for a period of 2 years. Vik has a MS degree from MIT and a BTech from IIT-Varanasi. 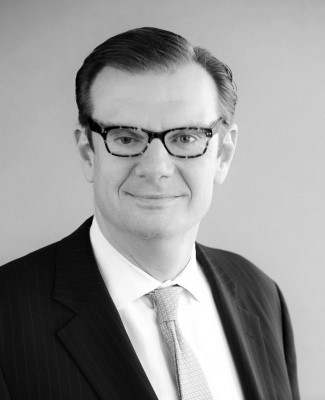 John Brodbine is a vice president of Eaton Vance Management and structured portfolio analyst. John joined Eaton Vance in 2004 as a member of the floating-rate loan team. He is responsible for modeling and analyzing the team’s CLOs and several institutional accounts. Prior to joining Eaton Vance, John was with U.S. Bank where he worked in the Corporate Trust Division performing Trustee Services for various CDO products. John earned his B.S. in finance from Merrimack College. Sandeep Chana is Director, Structured Credit for S&P Global Rating Services. His responsibilities include the assignment and surveillance of new issue ratings to CLO and CDO transactions, as well as authoring several publications on the European CLO market. 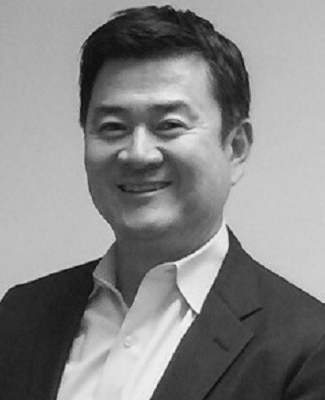 Jackson Chu has 15 years of experience in the financial services industry. He is currently a Senior Product Manager at Virtus Partners responsible for the product strategy, sales and marketing of Glide, Credit Portfolio Management Technology. Prior to joining Virtus Partners, he held positions at Van Eck Global and J.P. Morgan Asset Management – Global Real Assets where he developed and launched award-winning fixed income, private equity and direct real estate investment funds. Jackson received a B.A. in Economics from Pennsylvania State University. Rebecca is currently the head of Non-Agency RMBS and ABS Trading at Morgan Stanley where she has worked for over 12 years. During that time she has traded RMBS, CLOs, CDOs, ABX, and ABS. She holds a BS in Chemical Engineering from the University of Virginia and an MBA from Columbia University. Obinna Eke is a Director on the CLO Syndicate Desk in New York. Obinna joined BNP Paribas in 2011 after receiving his Master’s in Financial Engineering from the Haas School of Business at University of California, Berkeley. Prior to this, Obinna worked in the Equity Finance Group in Goldman Sachs International, London, as part of the Prime Brokerage business, focusing on equity swaps and CFDs. Obinna received a B.Sc. (Industrial/Systems Engineering) from the University of Lagos. 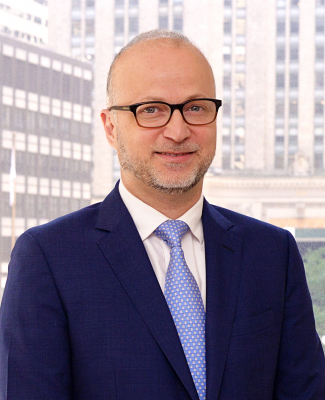 Eugene Ferrer is a partner in the Corporate practice at Paul Hastings and is based in the New York office. His practice focuses on securitization and structured finance, with a particular emphasis on structured credit products and collateralized loan obligation transactions. In the CLO and structured credit area, he represents investment banks, financial institutions, investment advisors and investors and has been involved with the product area for nearly two decades. 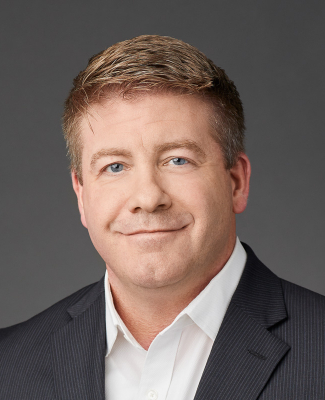 Dave Galainena, Structured Finance Practice Co-Chair, concentrates his practice in structured finance, finance company platforms, and debt capital markets. He has more than 30 years of experience handling debt capital markets and structured finance matters in both the asset-backed and mortgage-backed markets, as well as the formation and structuring of finance company platforms which originate the underlying financial asset. Prior to joining Winston & Strawn, Dave was a partner in the structured finance department of another major U.S. law firm and worked for CS First Boston as an investment banker in mortgage finance. 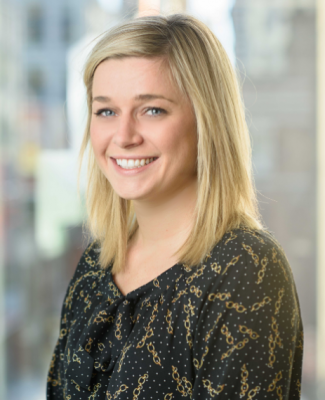 Jenna is Citi’s High Yield Retail, Consumer & Food analyst and has been with Citi since August 2012. Jenna joined from JPMorgan (2010-2012), where she was part of the high-yield automotive and shipping research team ranked #1 by Institutional Investor’s “All-America Fixed Income Research Survey” in 2010 and 2011. Prior to JPMorgan, she worked on the buy-side at State Street Global Advisors (2005-2010) as the retail, consumer, and food analyst for SSGA’s active high-yield investment funds. Jenna has a Master of Science in Finance from Boston College’s Carroll School of Management and a Bachelor of Science in Business Administration from Boston University. Mr. Gilbert is responsible for managing the CLO banking team at Natixis, overseeing deal execution, client development and maintaining relationships with clients that include CLO managers, direct lenders and investors. He focuses on both Middle Market and BSL CLO issuance. Prior to joining Natixis in 2005, Mr. Gilbert worked for Goldman Sachs in corporate investment banking and credit roles. Mr. Gilbert graduated from the College of William & Mary with a BBA in Accounting and holds an MBA from the Darden School of Business at the University of Virginia. He also holds a designation as a Chartered Financial Analyst. Kathleen Kraez is a member of the firm’s Structured Credit Team. She is responsible for portfolio management, CLO modeling and structural analysis, collateral manager evaluation and monitoring of CLO investments. Kathleen has over 19 years of industry experience. Prior to joining Babson Capital in 1996, she was previously associated with State Street Bank & Trust as a Portfolio Accountant. Kathleen holds a B.A. from Pennsylvania State University and an M.B.A. with a concentration in finance and accounting from Regis University. David manages global operations for the structured finance valuations, advisory and investor business at Moody’s Analytics. His team develops and implements analytical models for valuing and stress testing securities across structured asset classes and provides advisory support for risk analysis and regulatory submission. David also manages the products used by structured finance investors to perform monitoring and cashflow analysis. David has a BS in economics from The Wharton School and a BSE in computer science from the School of Engineering at the University of Pennsylvania. 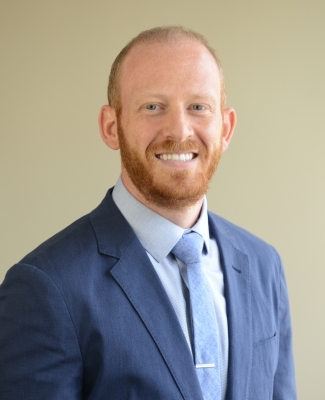 Matthew joined Pearl Diver Capital in 2009 and has 12-years of buy side credit experience in structured credit, leveraged finance and high yield. 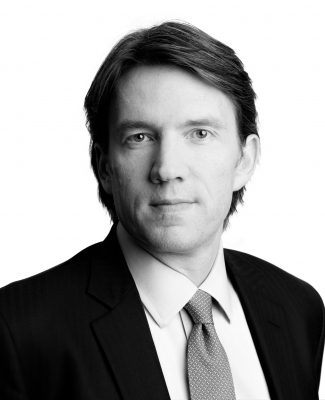 Matthew heads the credit division of Pearl Diver Capital and is a member of the senior investment committee. Matthew previously worked as a credit analyst for Alcentra where he was responsible for a portfolio of investments totalling €1.5bn in value. Matthew specialised in sectors that included Publishing/Media/Leisure/Gaming/Restaurant/Waste Management and worked with the special situations distressed team. Matthew has a Bsc in Economics from University of Wales, Swansea UK. Ms. Michalczuk is a Portfolio Manager for CLO products. She joined the group in early 2007 and prior to that was an Associate in Morgan Stanley’s Securitized Products Group working on the structuring desks in New York and London. At Morgan Stanley, she was involved in the structuring and execution of CDO and CLO transactions across multiple underlying asset classes and structural types. Ms. Michalczuk holds an MBA from The Wharton School of the University of Pennsylvania and a BS in Industrial and Labor Relations from Cornell University. She is based in New York. Mr. Pauley is a Senior Structured Credit Analyst at Brigade Capital Management. 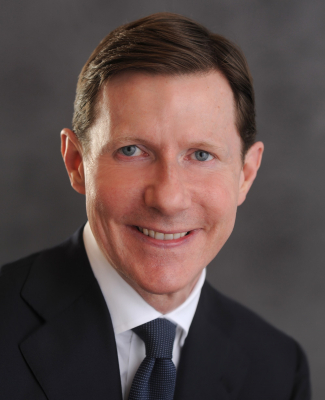 Prior to joining Brigade, Mr. Pauley led RBS’s CDO/CLO strategy platform from 2009 through July 2012. As a CLO strategist, he focused on relative value, structural characteristics and collateral quality. Mr. Pauley published monthly reports on the CLO sector and provided the trading desk with analysis and information systems. Mr. Pauley also was employed by Wells Fargo Securities for five years, where he held various positions, including CDO Research Analyst. Mr. Pauley has a B.S. in Computer Science from Winthrop University. Lyuba Petrova joined Fitch in October 2016 as Director in the Leveraged Finance team. Her focus falls on identifying trends in the Leveraged Finance market, studying corporate structures and analyzing deal documentation. Prior to joining the Fitch team, Lyuba was at JPMorgan where she spent the first 10 years of her career. Joining as a full-time analyst in 2007, she worked on Leveraged Finance transactions in New York and London. From 2008-2016 she was a member of the Risk Management team. In this capacity, she was tasked with issuer analysis, agreement negotiation, as well as maintaining a portfolio of $3.2 billion of primary exposure across a variety of industries. Mr. Powers is Co-Head of Origination and Capital Markets at Wells Fargo Securities responsible for providing warehouse financing and term financing to broadly syndicated loan managers, middle market originators/lenders, and small business lenders, as well as issuance of Collateralized Loan Obligations ("CLOs"). Jason joined Wachovia in 2003 and has 17 years of experience in the high yield and securitization markets. Prior to joining Wachovia, Jason worked in the High Yield Special Products team at Banc of America Securities. Jason holds a BA in Economics from the University of South Carolina. Kamal has been trading CLOs since 2009, prior experience includes trading CLOs/ABS at Citadel, KGS Alpha Capital Markets. He started his career at ICP Capital in structuring and modeling CDOs/CLOs. Sebastiano Riva is a Managing Director and Head of Liability Management in Carlyle Global Credit. Mr. Riva’s primary focus is on the broadly syndicated and middle market loan businesses as well as other liability management initiatives. Prior to joining Carlyle, Mr. Riva was at Wells Fargo Securities in charge of global marketing of new issue CLO. Mr. Riva started his structured finance career at Bankers Trust in the late 1990s and has also held positions at DLJ, TD Securities, and Lehman Brothers. Mr. Riva received his B.S. in Economics from the Wharton School of the University of Pennsylvania. Amit Roy is a Managing Director in the Investment Banking division at Goldman Sachs and heads the US CLO New Issue business for the firm. He joined Goldman Sachs in 2001 and has been directly involved in structuring and placing over $50bn of securities backed by bank loans, high yield bonds, investment grade securities, private placements and emerging market securities. Amit holds an MBA, with honors, from the Wharton School of Business at the University of Pennsylvania and S.B. degrees in Economics and Computer Science from the Massachusetts Institute of Technology. Tim has been with Cortland Capital Markets in Chicago for over five years and in the securitizations markets for over a decade. At Cortland he had managed the CLO Compliance and Analytics team and is now a Managing Director in their Business Development group. 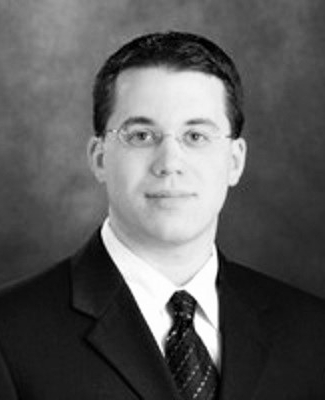 He covers all aspects of the credit markets for Cortland both domestically and internationally. Prior to Cortland, Tim was a Vice President in Corporate Trust for several bank institutions, including LaSalle Bank, where he managed teams that worked with CDO, CLO, CRE, CMBS, and RMBS products. Tim has his MBA from Iowa State University. 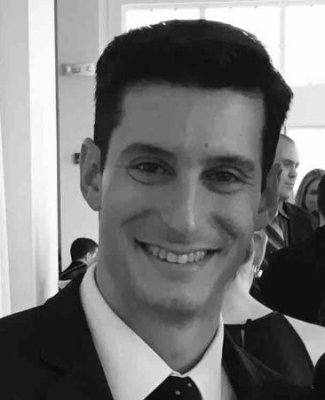 Mr. Saltaformaggio is a Director in the Structured Products Group at NYL Investors and is responsible for investing in CLOs on behalf of the General Account and Third Party Portfolios. He also has experience investing in Asset Backed Securities as well as Short Term Interest Rate Securities. Mr. Saltaformaggio joined New York Life Investments in 2004 as an Assistant Trader and Portfolio Analyst in the High Yield Group until 2011. Prior to joining New York Life Investments, Mr. Saltaformaggio was an Associate at New York Life Insurance Company in the Variable Annuity business. Mr. Saltaformaggio received a B.A. in Economics from Seton Hall University and an M.B.A from Fordham University. Anand Sankaranarayanan is a Managing Director on the CLO Trading & Structuring desk. Prior to joining Jefferies, Anand was at Barclays from 2009-2013, where he was a VP on the CLO Trading Desk. Anand also worked at the Synthetic Credit Structuring desk at Barclays. Prior to that, Anand was at Lehman Brothers on the Structured Credit desk from 2006-2008. Anand holds an MBA from Indian Institute of Management Bangalore (2006) and a BS in Electronic Engineering from College of Engineering Guindy, India (2004). 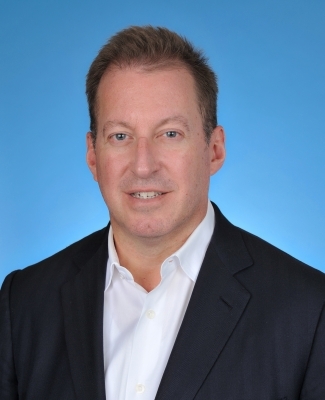 Jeremy Schwartz is a Vice President on the Global Strategy and Economics team at Credit Suisse in New York. His work focuses on tracking and measuring the global business cycle and its effects on financial markets, as well as US growth, inflation, and labor markets. 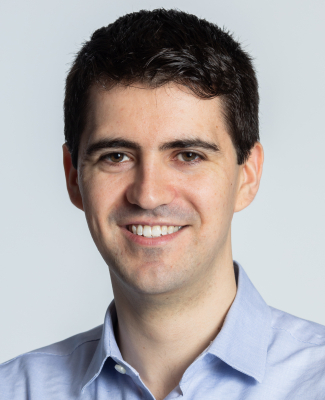 Jeremy joined Credit Suisse in 2011 after graduating from The University of Chicago with a Bachelor’s degree in Economics and English Literature. 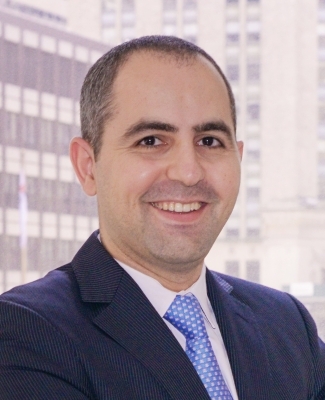 Edmond (Eddie) Seferi focuses his practice on structured finance and securitization, with an emphasis on collateralized loan and debt obligation transactions, including cash-flow and synthetic transactions; asset-backed securities, including mutual fund fee receivables, life settlement receivables, and trade receivables; derivatives; and other structured financial products. From 1992 to 1994, Eddie served as chief of staff to the president of Albania. He was a James Kent Scholar at Columbia Law School. Mr. Sunday is responsible for providing originating, structuring and distributing collateralized loan obligations on behalf of both broadly syndicated and middle market loan managers. Mr. Sunday also has responsibility for originating, underwriting and syndicating structured credit facilities for this client base as well. Prior to Wells Fargo in 2003, Mr. Sunday worked as an associate for Prudential Investment Management, Inc.
Mr. Sunday graduated from the University of Delaware with a BS in Finance and holds an MBA from Georgetown University. Patrick Wolfe is Director of Tennenbaum Capital Partners ("TCP"), LLC. Mr. Wolfe has over 11 years of experience in structuring, issuance, and managing CLOs and other levered credit strategies. Prior to joining TCP, he was at Deutsche Bank where he specialized in structured credit. Wolfe began his career as an auditor at KSJG LLP. He earned a B.S degree in Accounting from San Diego State University.